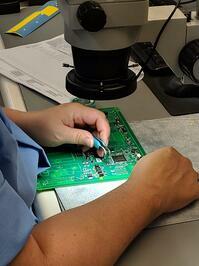 Thorough processes and value-added services ensure we always deliver superior small batch assemblies. Whether you have a new, mature, or legacy product, if it’s made in recurring small batches, chances are it requires extra care and attention. That’s where we come in. On average, we take in more than four new electronic assemblies every week that we’re able to fully support thanks to our robust processes and value-added services. We’re committed to supporting your recurring products as if they are our own. Ongoing low-volume electronic manufacturing and assembly is a completely different animal than high-volume work. Frequent product changes, unpredictable demand, rare components, urgent prototypes, and problematic legacy support are all par for the course. Choose a partner that is exclusively optimized for this kind of work.